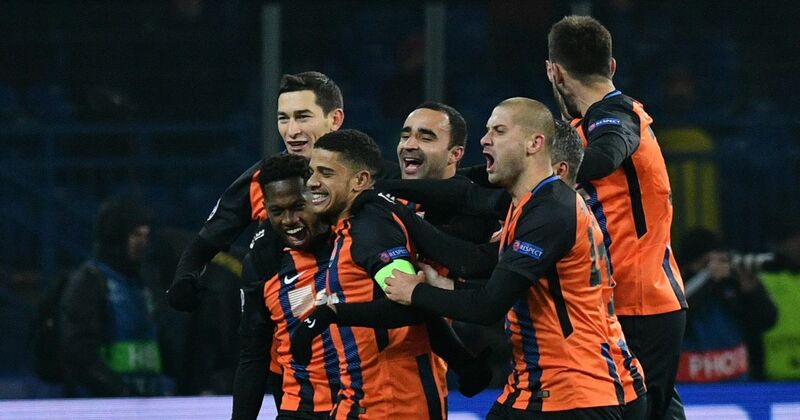 Shakhtar Donetsk came from behind to defeat Roma 2-1 in the first leg of their Champions League last-16 clash in Ukraine. Turkish sensation Cengiz Under made it five goals in four games with the opener on his European debut late in the first half but Facundo Ferreyra levelled seven minutes after the break and a stunning free-kick from Fred in the 71st minute gave the hosts the edge in the tie. They will hope history can repeat itself when they travel to Rome in three weeks – the only previous time they have reached the quarter-finals was in 2011, when they defeated Roma 6-2 on aggregate. Shakhtar were playing only their second match since the end of the Ukrainian league’s winter break but there was no sluggish start as Bernard released Ismaily on the left and the full-back’s cross just eluded the sliding Ferreyra. Two minutes later it was the home goal under threat from Edin Dzeko, who found himself in space on the penalty spot as a corner was swung in but shot straight at Andriy Pyatov, with Federico Fazio seeing the follow-up blocked. Roma began to gain the ascendancy and, after Kosta Manolas guided a header wide, Dzeko had another good opening but could not finish off a flowing move with the desired finish, giving Pyatov an easy save. Dzeko was not having the evening he wanted in front of goal, but he played a crucial role in Roma’s opener four minutes before the break. His precision ball split the Shakhtar defence and 20-year-old Under dinked the ball over Pyatov, who got plenty on the shot but could not keep it out. Shakhtar made a very positive start to the second half and were rewarded with an equaliser in the 52nd minute. A long ball from Yaroslav Rakitskiy down the left caught out Alessandro Florenzi, who was deemed fit to start despite illness, and Ferreyra did superbly to hold off a defender and beat Alisson. Roared on by their fans, Shakhtar poured forward and probably should have scored a second shortly afterwards but Alisson stuck up a hand to keep out Marlos’ shot. Alisson then produced an even better save to deny Taison, whose shot looked to be headed for the top corner, but he could do nothing about Fred’s superb set-piece, which went in off the underside of the bar. Shakhtar thought they had made it three in injury time but a combination of Alisson and defender Bruno Peres on the line somehow kept out Ferreyra’s shot.